Animal Kingdom Lodge is a Disney Deluxe Resort that offers a truly unparalleled experience. This review of Animal Kingdom Lodge is brought to you by Kylee of Green Monorail Destinations and Sue from Mousequest Podcast. Kylee gives you a first hand look at a stay in Animal Kingdom’s Jambo House. Then, Sue, takes you on a tour of the Perfect Day at Disney’s Animal Kingdom Lodge proving that a vacation to Walt Disney World is so much more than just the theme parks. 16 Dessert….then Dinner..and a Show! Designed by the architect who brought us The Wilderness Lodge and Grand Californian in Disneyland, Peter Dominick, Disney’s Animal Kingdom Lodge is absolutely breathtaking. When you walk into the Grand Lobby you’ll be in absolute amazement of the pure grandeur and beauty. Pictures don’t really do it justice. It doesn’t stop at the lobby either. The private savanna with real, free roaming animals is spectacular. Imagine waking up at dawn with a cup of coffee and a giraffe munching on a tree, just a few feet away. It will make you feel like you’re nowhere near Florida. My heart soars whenever I step into this place. It’s somehow distinctly Disney without having a corny, Theme Park feel. If you have the budget for a Deluxe Resort, I always suggest this one first. Animal Kingdom Lodge is considered a Deluxe Resort. Meaning, it has more amenities and costs more money than the Value and Moderates. However, I’d say it’s on the lower end of Deluxe Resorts as far as room rates. On average, rates are usually 400-600 a night. Which is sometimes as much as a high-end moderate hotel. The Lodge is comprised of two separate sections, Jambo House and Kidani Village, formed in large horse shoes around the savanna. Kidani is made up of DVC rooms and villas. Jambo House is the main portion of the resort and is open to everyone. You can still venture to Kidani and check out their lobby or eat at their restaurant, Sanaa. With a savanna, two pools with hot tubs, three full-service restaurants, one quick-service, a spa, three lounges, and two separate lodging areas, this resort is huge. We recommend Under Cover Tourist for great discounts on Disney Resort Hotels! The rooms are beautiful and elegant with carved headboards, dark wood furniture, and African art placed about. And every room gets a balcony. During my stay, I had the opportunity to stay in the Savanna View room. With your own private verandah overlooking your own private savanna, this room is a must do! Something else this resort offers is the choice of having a room with bunk beds. So, if you have kids (or adults) who don’t want to share a bed, you have this option. 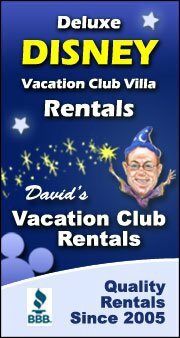 Another great way to stay in a Disney Deluxe Resort for a Fraction of the cost is to Rent DVC Points. Like other Deluxe Resorts, the Lodge has a Club Level floor where you’ll get access to some luxurious amenities. When you book a Club Level room, you get access to the lounge where they serve free snacks and beverages throughout the day. This includes the deluxe continental breakfast, tea time, warm hors d’oeuvres/specialty beverages (alcoholic and non-alcoholic), and desserts. In addition to the free food, you get access to a library of DVD’s to rent and private concierges. The Club Level is located on the top floor and overlooks the grand lobby. It’s the perfect place to have a snack and watch the resort hustle and bustle below. Animal Kingdom Lodge has three table service restaurants, one quick service and three lounges onsite. All of them very tasty and fit within the African-inspired theme. Jambo House – Table Service: Jiko’s is considered a “Signature Restaurant,” which means it’s a bit more upscale and a bit more expensive (it takes two dining plan credits). The atmosphere is just as beautiful as the hotel itself with walls that change colors, imitating a sunset. 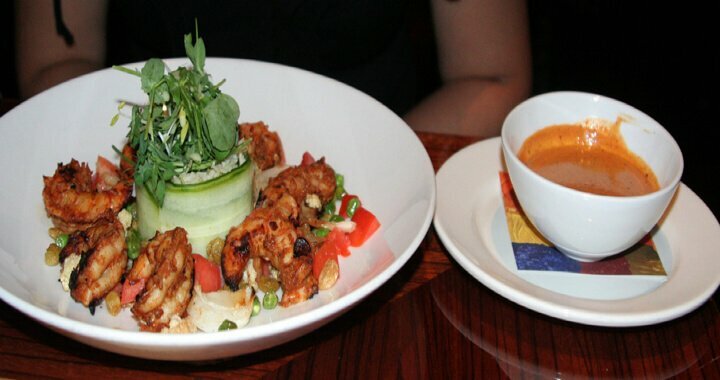 The menu has a mix of American, African, and Indian-inspired cuisine. When we visited, our server recommended the Inguday Tibs in Brik (turnovers filled with mushroom, spinach, and cheese), so we decided to give it a try. This was delicious along with everything else we ate. They also have the most extensive South African wine selection in North America. I sincerely regret not writing down the name of the wine I tried while visiting. 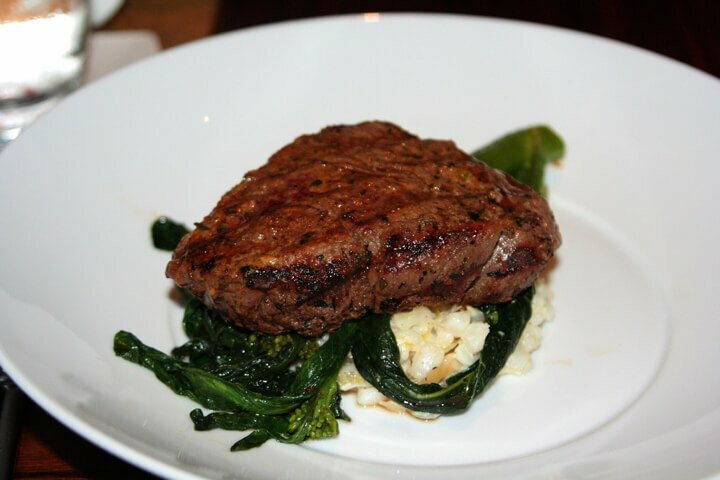 Kidani Village – Table Service: The only restaurant in Kidani Village and highly underrated at that! This table service has more of a family-friendly vibe as opposed to Jiko, which is a little more romantic. I hear the Indian Bread Service is something you can’t miss! Jambo House – Buffet: The best buffet on property, in my honest opinion. Again, there is a mix of American and African inspired cuisine, from pork shoulder to Spicy Nigerian Peanut Soup. 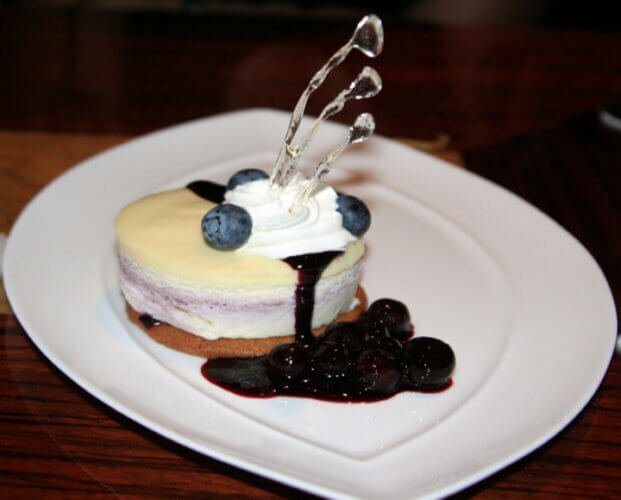 Boma and Mara is where you can get the infamous Zebra Dome, a small dome shaped cake covered in a cream liquor mousse, white chocolate, and drizzled with chocolate. Just perfection. The Mara at Jambo House – Quick Service: This quick service location is a bit tricky to find since it has an outdoor entrance by the Uzima Pool, near Jiko and Boma. The food is great for a quick service spot. They serve the typical American foods like chicken nuggets, but also features some unique items like chicken flatbread and African stew. Uzima Pool (Jambo House): This zero entry pool is often referred to as the best pool on Disney property. It has a 50 foot water slide and the best part is that the hot tub is tucked away behind some foliage, offering some privacy. 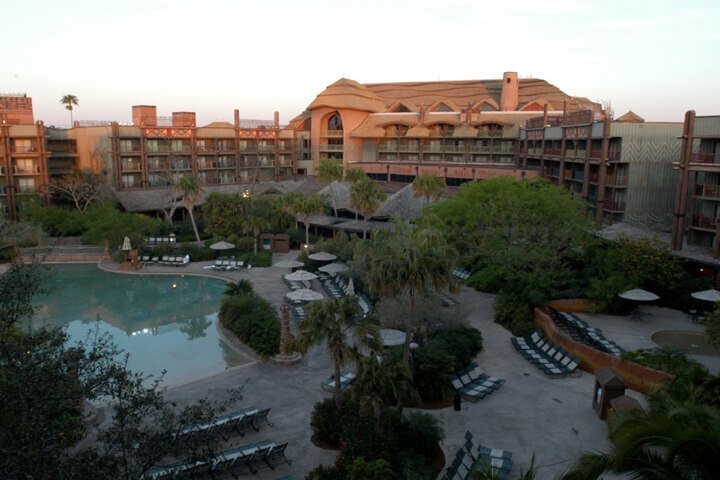 Maji Pool (Kidani Village): This is in the Kidani Village area and features a small slide and pool bar as well. It is open to all guests. Animal Kingdom Lodge offers all the typical amenities of a Disney Deluxe Resort. Noteworthy amenities available at Animal Kingdom Lodge include the following. Zahanati Massage & Fitness Center: In case you need to push your luxurious experience over the top, there’s a spa located in Jambo house with a fitness center attached. Kidani Village also has a “Survival of the Fittest” Fitness Center. Nighttime Safari: One of the coolest things this resort has to offer is the Starlight Safari. With this tour, you get your own private animal expert who takes you on a nighttime tour of the savanna in a safari vehicle. With a pair of night vision goggles, you’ll get to see the animals going about their business in the evening. This has an extra cost, but is definitely one of the most unique experiences available at Disney. 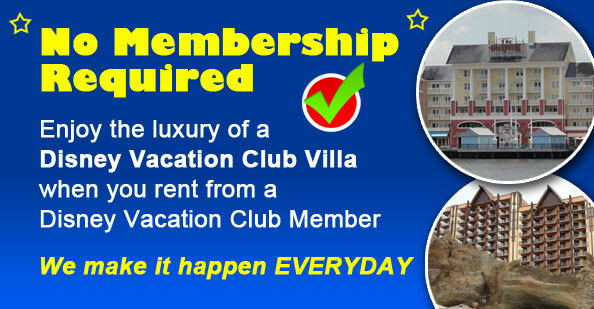 This experience is open to anyone, even if you’re not staying at the resort. Roasting S’mores: For a more economical experience, you can also roast s’mores at the fire pits! You’ll hear a lot of complaints regarding transportation for this resort. Honestly, I couldn’t tell the difference of wait/transfer time between this resort and any others. I believe this notion has to do with the distance between the resort and Magic Kingdom, Epcot, and Hollywood Studios. It’s very close to Animal Kingdom, but farther away from the other three parks. Considering the fact that the value resort busses can be so packed that sometimes you have to wait for the next bus just so you can board, this really isn’t that bad. Plus, after being in a theme park atmosphere all day, you’ll like the feeling of seclusion. There are two bus stops here: one outside the Grand Lobby at Jambo and one at Kidani Village. Since the resort is so large, depending on your room, it can be a bit of walk to get out to the bus stop. Now that you are thoroughly familiar with all that Animal Kingdom Lodge has to offer in terms of rooms, restaurants, and amenities, what would a resort day at Animal Kingdom Lodge look like? Sue from Mousequest Podcast gives us a great summary of the perfect resort day spent relaxing and taking it all in at this very special Disney Deluxe Resort. I could spend chapter and verse talking about the varying room types, transportation options, dining options and proximity to the parks of Disney’s Animal Kingdom Lodge but that wouldn’t do justice to the wide-ranging amenities it offers. My family has chosen Disney’s Animal Kingdom Lodge on several occasions, Jambo House twice and Kidani Village once. The reason we keep returning is because it’s more than just a place to lay your head. It’s an experience all on its own. Every trip to Disney’s Animal Kingdom Lodge for my family includes a dedicated resort day during our stay. We love these days because they are so relaxing and they save you a day of theme park tickets. Relaxing while saving money? Yes, please!! Our practically perfect Disney day at the Animal Kingdom Lodge always includes sleeping in after a late night at the theme parks. We go to Magic Kingdom Park the day before our resort day as that is the park which stays open the latest and we typically stay until the “Kiss Goodnight”. It is also the park which requires the most walking. We can easily walk 20,000 steps at Magic Kingdom Park so having a day of rest after all that walking is a welcome treat. Once awake, we order room service for breakfast which we enjoy on our verandah. With a Savanna View room, we can watch giraffes, zebras, gazelles and ostriches roaming outside our room while we eat. After breakfast we get ready for the day then grab our MagicBands and bathing suits to continue our African adventure. Our first stop is the lobby where there are incredible works of African art, authentic decorations and tons of Hidden Mickeys. (HINT: Look up) On the floor below the lobby there are African drums where the little ones can play to their heart’s content. We always make sure to stop by the front desk or check out the resort TV channel for a listing of all the events and activities taking place throughout the day such as flamingo feeding, cookie decorating, wildlife games and animal tracking. From the lobby we head out to the Arusha Rock Outlook to get an up close and personal view of even more of the savanna animals. We also venture to the Uzima Outlook as there are varying animal as each savanna has different animals. Along the way to the Uzima Outlook we stop by the flamingo pool. Both outlooks typically have cast members there to answer your questions. After dark, we head back to the Uzima Overlook to get a unique animal viewing experience as night vision goggles are available for resort guests. Since we have an older child we stop by Victoria Falls on the way back to our room where the adults get a nightcap and our daughter gets a Disney-fied Shirley Temple before getting to bed early to rest up for yet another practically perfect Disney day. Sue Nowicki is an alumna of the 2014/15 Disney Parks Moms Panel. She is a recovering team mom who is trying to find ways to fill her time after serving secretary, navigator, head cheerleader, treasurer, athletic trainer and team psychologist for her daughter’s travel sports team for over 10 years. Due the unique and authentic atmosphere, feeling of grandeur, and delicious food, I give this resort a 10/10, would stay there again. Would move in if I could! Again, if this place is in your Disney budget, you should give this place a go. And, if it’s not in your budget, then I highly advise taking a bus over to eat at Boma, enjoy the savanna, and relax in the lobby. You can get there easily if you’re already at Animal Kingdom and need a little sanctuary! Great review and love your photographs. Thanks for the great information. We usually stay at the Polynesian but, we really should try a new Resort. I bet my kids would love this one!! Thank you Kim! I bet your kids would definitely love it! It’s definitely one that makes days not in the parks a real treat too! Fantastic and complete review! The information will be so helpful to families planning trips to this theme park! Thank you. Pinned! Thanks so much Carolyn. I am so glad you found it helpful. Thanks for sharing it with others. What a comprehensive review! I have only been to WDW once when I was small and I want to go again at some point but there is just soooo much sometimes it can feel a bit daunting. Animal Kingdom Lodge looks an amazing hotel, I love the theme-ing and would definitely stay there one day if I had the money. Animal Kingdom Lodge is my favorite Walt Disney World Resort. It does not cease to amaze time and again. Jiko used to be my favorite restaurant anywhere. When they got a new chef, my favorite meal was taken off of the menu. There are so many more amazing foods and experiences there, but that was MY thing. Haha. AKL is still my favorite resort. I remember staying there one time when a large bird landed on our balcony. That was a bit of a thrill!